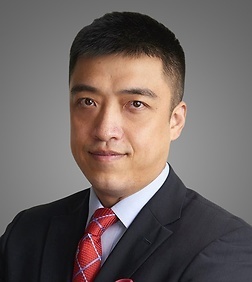 Michael Zhang is a partner in the Corporate Practice Group, Antitrust Practice Group and the Intellectual Property Practice Groups in the firm's Shanghai office. He has a deep understanding of China’s legal system and business practices. Mr. Zhang has broad experience in the areas of corporate law, antitrust law and intellectual property law in China. He has represented many U.S. and European clients in a wide range of industries with respect to their mergers and acquisitions, joint venture projects and operations in China and Asia regions, including life science and healthcare, internet technology, co-working space, automobile, logistics, material hi-tech, telecommunication and software sectors. With extensive knowledge of international business transactions, Mr. Zhang has represented leading Chinese companies in their outbound equity and asset transactions outside Mainland China, in the industries of life science and healthcare, e-commerce and green technology. With rich knowledge of China’s and other East Asian countries’ antitrust laws, Mr. Zhang counsels U.S. and international clients, as well as Chinese local companies on international and PRC antitrust issues, with respect to pre-merger control, price fixing and monopolistic agreement issues. Mr. Zhang is experienced with IP licensing, IP due diligence and corporate IP protection within M&A transactions and joint venture projects. He also has expertise with the protection of his client’s IP rights against counterfeiting and piracy in China. Represented a leading Chinese pharmaceutical group in multiple equity investment transactions in the US and European countries. Represented a leading Chinese state-owned pharmaceutical group handing in its US equity investment projects. Represented a leading US pharmaceutical company in its acquisition of a Chinese medical software company. Represented a US Nasdaq listed pharmaceutical company in its joint venture transaction with a leading private pharmaceutical group in China. Represented multiple venture capital funds in their strategic investment transactions in target companies in China and East Asia. Represented a leading Chinese co-working space company in its investment projects in Vietnam, UK and Australia. Represented international textile labelling company for its PRC pre-merger filing under a global acquisition transaction, and advised client re pre-merger filings at Asian jurisdictions. Represented a famous capital management company in an international arbitration case at CIETAC involving a famous Chinese SOE. Advised world leading sports brand company for its antitrust compliance action, and provided antitrust training for its China sales team; handled multiple complicated China related commercial contractual disputes for this client. Advised Chinese leading mobile service carrier group regarding global and China antitrust issues of a patent pool. Advised an US cold-warehousing company in setting up its Asian executive employment policies and contractual arrangements.